Let’s talk about garage door cables repair in North Vancouver, BC. Our superbly trained techs offer a wide range of services. We will provide same day repair service for emergency issues with your cables. Our experts can also install or replace these components. You can depend on our specialists to provide quality service at a rate you can afford. You deserve the most effective garage door cables care possible. Give us a call and we promise to provide it for you. Our pros have been installing garage door cables correctly for years. There is a right way and a wrong way to perform every task. We choose to do the job the right the first time. You can expect us to install your cables as per manufacturer’s instructions. We do not take shortcuts. Our experts immediately identify what type of cables your garage needs. We then grab the right set off the truck and install it correctly. That is how we do business at North Vancouver Garage Door Repair. Broken cables are like broken springs; they cannot be repaired. When we talk about garage door cables repair; we are really talking about adjustments. We are saying that we will provide a solution to the problem. Our techs will make adjustments with parts holding the cables in place. If your cable has slipped off the drum; we will place it back on and secure it. However, if a cable is broken in two it will need to be replaced. 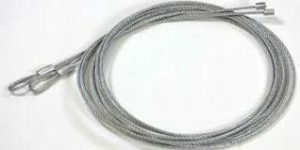 We carry a variety of cables in our van to ensure fast garage door cables replacement. Our experts can replace a broken cable in no time at all. Don’t leave your door dangling in an unsafe condition. Put in a call to our friendly staff and receive quality North Vancouver garage door cables repair today.